Future Food, an international organisation based in Italy that is dedicated to innovative collaborations that will revolutionise the food ecosystem, has raised an undisclosed amount of funding. The investors are Valerio Nannini, who late last year left his role as SVP Head of Strategies and Performance at Nestlé global HQ and Mauro Piloni, CEO of disruptive foodservice technology company Exever, and former president of Whirlpool R&D. 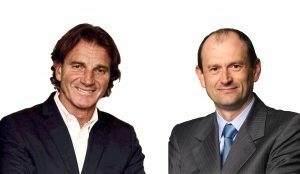 In addition to the investment, Nannini and Piloni will join the Future Food board of directors. Piloni and Nannini’s appointments come as Future Food enters a critical phase of growth and upscaling, doubling its four existing international offices and extending its scope: earlier this month, the United Nations announced the UN Organization for Industrial Development would partner with the body’s non-profit arm, the Future Food Institute, on its latest award for global innovation in agribusiness. Nannini has an exhaustive understanding of disruptive technologies, digital environments, and their commercial applications. A respected driver of innovation, he has a track record of engaging with academia, accelerators, VCs and start-ups, as well as with major strategic partnerships and alliances, to accelerate growth. Piloni, whose scale-up Exever owns the patented disruptive “warm preservation” technology, is an acknowledged leader in disruptive technologies and their market deployment. Working in innovation in both corporate and start-up environments, Piloni is also a business angel and advisor for tier 1 banks and VCs. Future Food is a network focused on food innovation as a key tool to tackle the immense challenges humankind faces in the areas of affordable nutrition, world hunger and sustainability. Future Food is headquartered in Bologna, Italy, with offices in Tokyo, San Francisco and Shanghai. With a philanthropic core, Future Food provides education, supports research projects and feeds innovative initiatives that positively impact the health of humans and the planet.